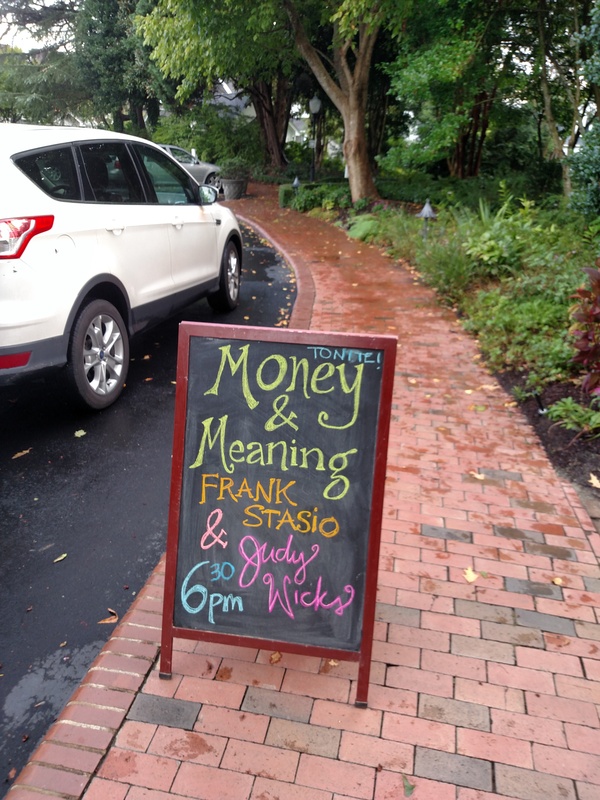 The first ever Slow Money Regional Gathering, called Money and Meaning, began on Thursday night, September 10, at the Fearrington Barn between Pittsboro, home of Slow Money NC, and Carrboro. 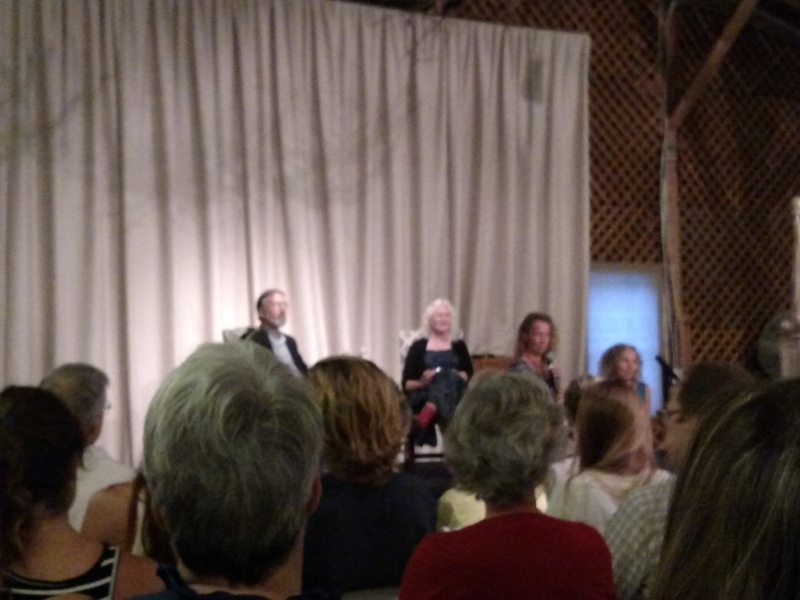 After some excellent farm to table fare and beverages from Pittsboro’s Fair Game, Frank Stacio of WUNC-FM’s State of Thing interviewed and conversed with BALLE co-founder Judy Wicks. 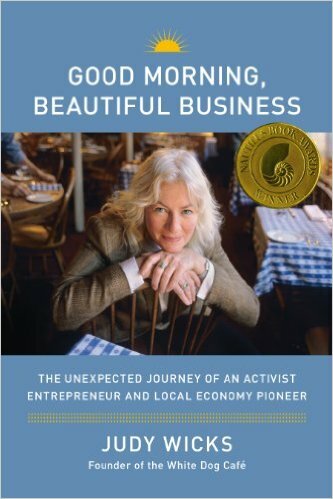 Wicks created Philadelphia’s legendary White Dog Cafe, a farm to fork pioneer, and author of Good Morning, Beautiful Business. 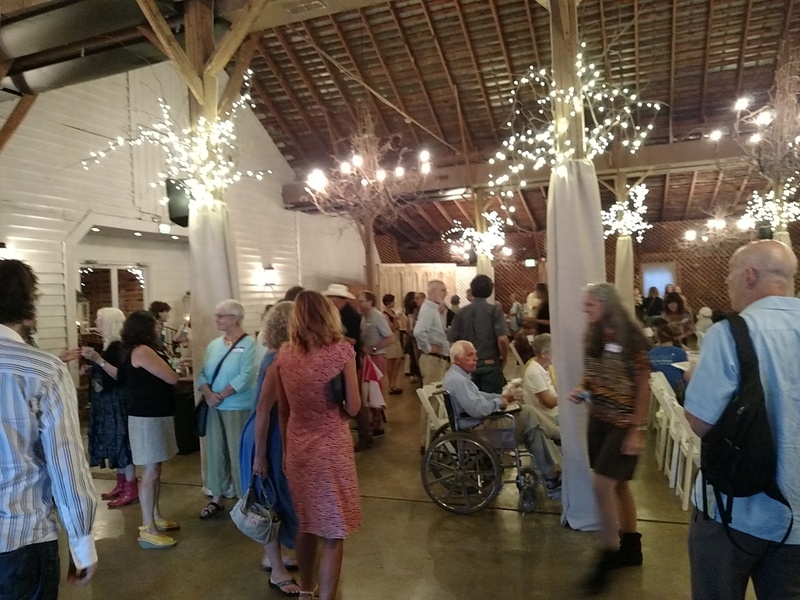 The audience included Slow Money founder Woody Tasch, Frank and Kaola Phoenix of the Fenwick Foundation, and prominent Chatham County localist Gary Phillips. Carol Peppe Hewitt founder of Slow Money NC and a conference organizer introduced Emerson Waldorf students and Pickard’s Mountain Eco-Institute interns in the audience.